Most times, gift wraps bring in an element of surprise and excitement. A beautifully wrapped gift also shows that you care. 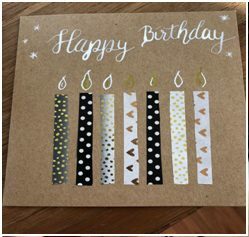 Gift wrapping does not always require fancy papers and stationary and even the basic brown paper can do wonders if you put some thought into it. In fact, brown paper is light on your pocket and environment friendly at the same time. We have put together a list of funky brown paper gift wrapping ideas to be used at birthdays, weddings, graduations or any other moment that you would love to cherish forever. Be ready to Impress! Nothing spells love and care like nature. How about giving them a bunch of flowers in a vase on a gift wrap. The gift is as beautiful on the outside as it is on the outside. This gift wrap is sure to win you some kisses and hugs in return. Wrap the gift with the plain brown paper. Draw a vase on the wrap. Place a bunch of flowers on the vase. Add the rope as shown. This one is a clever wrap, especially when the receiver is a child. It practically turns your gift box into a playground and makes for 2 quirky gifts. It is sure to peak the interest of all present, especially the tiny men and ladies. Wrap the gift with the plain brown paper. Add black paper strip one side of the box. Draw a line using chalk. Paste the Toy car. 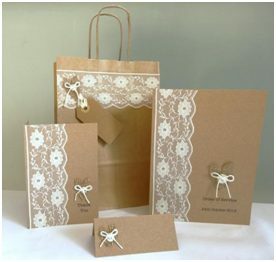 A touch of class is added when you add pristine looking white lace to the edge of your brown paper packages. 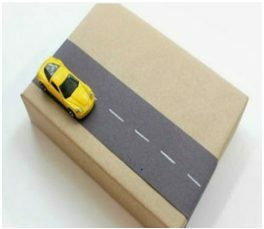 It is a wonder how a tiny touch can make the gift thoughtful. Wrap the gift with the plain brown paper. Add lace to the one side of the gift. Voila! Birthdays are fun. Wrap a gift with birthday candles and let the package shout loud because why would anyone want to keep calm on their bestie’s birthday. Wrap the gift with the plain brown paper. Add washi tape to create candles. Draw flames with marker. Write happy birthday and you are ready to set the roof on fire! Kids are the toughest to impress and the most inquisitive about gifts. This gift wrap is a intriguing both inside and outside the wrap. Why only kids, we all love cute colourful elephants. Wrap the gift with the plain brown paper. Add the balloon upside down. Draw ears and body with a black sharpie. Happy Birthday to the animal lover. The wrapping of a gift can be just as important as the gift itself. At least that is what I tell myself. Especially when it is for someone very special, a loved one. The personal touch of a hand wrapped present can never be achieved with anything else. It would be epic to see the expression on the receiver’s face if the gift is also handmade. Wrap the Present in red paper. Wrap the gift with the plain brown paper. 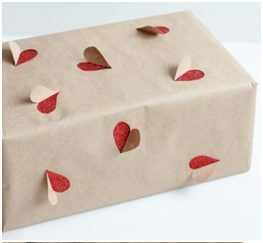 Cut half hearts out of the brown paper and fold them in opposite direction. There you have a lot of hearts floating around. Try This one with a Wedding Anniversary Gift, it is bound to work. Just tie the gift together with a giant cute looking button and have all eyes fixated on your gift. Wrap the gift with the plain brown paper. Sew a button at the center with the thread. There you have a gift tied tightly with all your love. 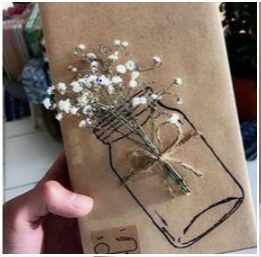 Inst there are cute gift wrapping ideas?? We would like you to comment below with more ideas you got to share. 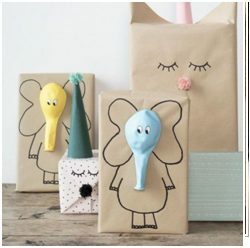 Well, those are the top picks for an extremely creative and budget friendly gift wrap. 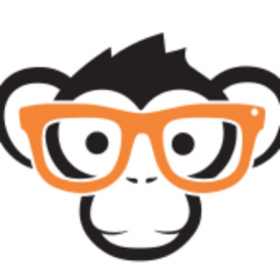 If you are too late to reach to this blog and need to get the gift delivered directly to your loves one, just order gifts at GeekMonkey. Choose the gift wrap option for just Rs. 35. Sit back and relax to see a surprised look at your friends and family. This entry was posted in Blogs and tagged Gift wrapping ideas, wrapping sheets.